iTunes is a well-known music vendor and quite welcome around the world. Before 2009, iTunes music were all protected in encrypted M4P format by FairPlay, but later iTunes turned to selling DRM-free music, which attracted a crowd of fans. However, Apple Music on iTunes is still FairPlay-protected in encoded format. As we all know, DRM is an access control technology that limit the usage of digital content and devices. Now the question is: Can we remove the DRM from iTunes music? 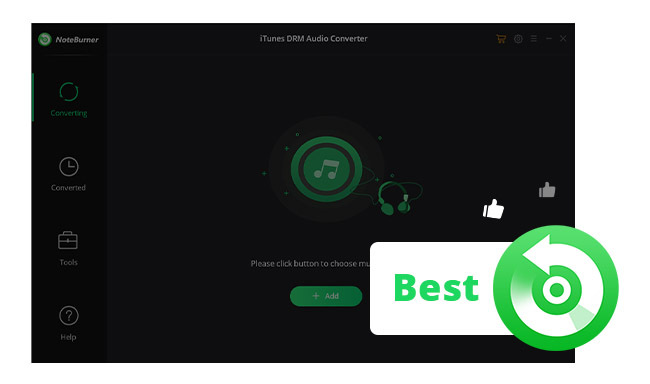 The following tutorial will give you a positive answer with the most powerful iTunes music DRM removal tool - NoteBurner iTunes DRM Audio Converter. 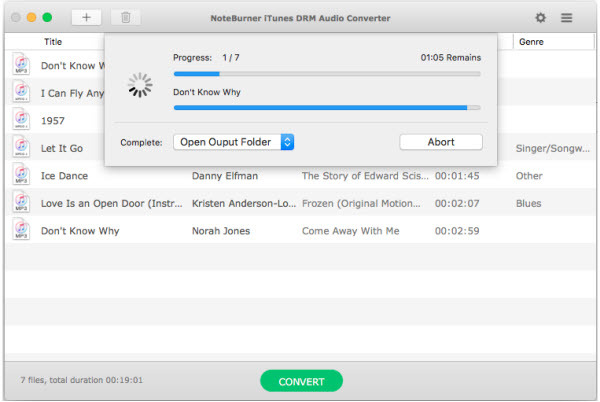 NoteBurner iTunes DRM Audio Converter is a professional iTunes music DRM removal software specially developed for converting encoded audios including Apple Music, iTunes M4P files and audio books to plain formats (MP3/AAC/FLAC/WAV) at 20X speed with lossless quality. Tips: For converting iTunes M4V movies or TV shows, please refer to NoteBurner M4V Converter Plus. 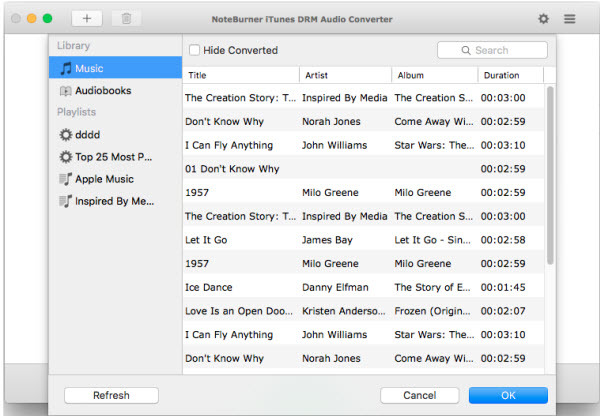 NoteBurner iTunes DRM Audio Converter supports both Mac OS and Windows, and here we will take Mac OS as an example. Now let's find more details about how to do iTunes Music DRM removal with the most powerful DRM-removal tool. Launch the program. Click the button "+" on the upper left. A pop-up window will show you all the songs and playlists in iTunes. Select the iTunes music you like for converting. Click the setting button on the upper right of the interface, and you will see a pop-up window which allows you to choose output format, output quality, conversion speed and confirm output path. Click the button “Convert” to start conversion. When they are all done, click the menu button on the top right of NoteBurner iTunes DRM Audio Converter, and you will find all the converted DRM-free songs with ID3 tags kept. Now you have successfully achieved iTunes music DRM removal. Go to the output folder and you can transfer them to anywhere you like. 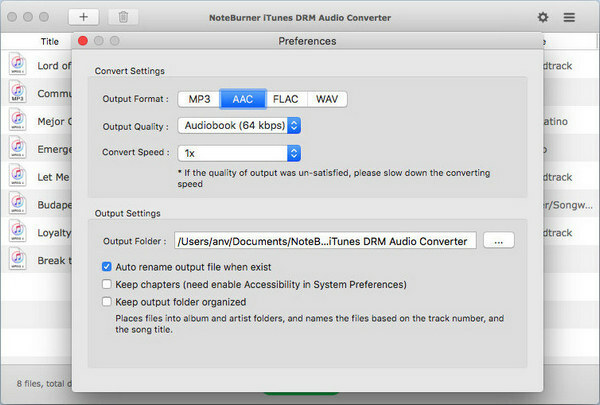 Note: The free trial version of NoteBurner iTunes DRM Audio Converter converts three minutes of each audio file only. If you want to unlock the time limitation, you can purchase the full version of NoteBurner iTunes DRM Audio Converter with $39.95.